In the last weeks of one’s pregnancy, many mamas-to-be are hungry for more information when it comes to their baby and the timing of his or her arrival. Which is where Bloomlife comes in. 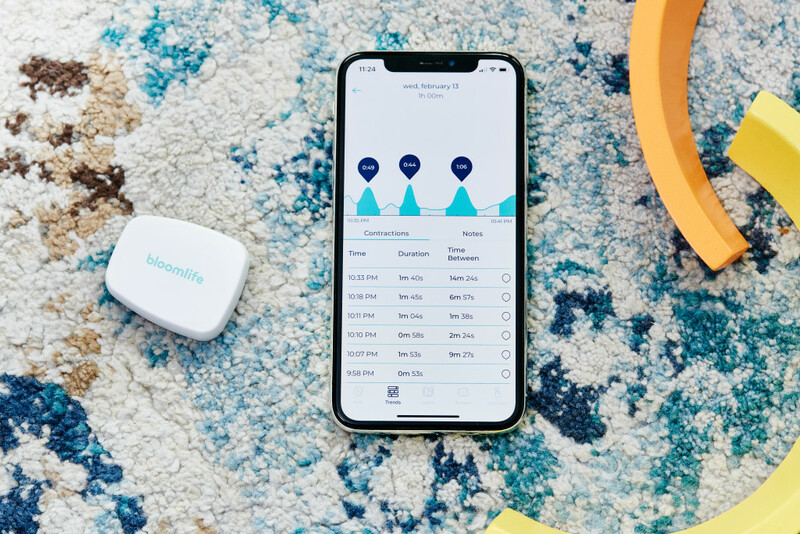 With the belief that all women should have access to better, more personalized information at their fingertips to make confident decisions about their own prenatal care, the team at Bloomlife created a simple-to-use contraction monitor that does just that—monitors contractions outside the hospital so that expecting mothers can have a verified second opinion of sorts, in the palm of their hand. The monitor is ideal for at-home use during the last 6-8 weeks of pregnancy, when tracking and counting contractions can be most useful, and when questions like “Am I having a contraction?” “Am I in labor?” and “Are these contraction patterns normal?” are often dancing in one’s head. The monitor, which we recently tried out alongside soon-to-be mama-of-two Daphne Palomares (pictured), is just one of the innovations Bloomlife hopes to create in its company-wide mission to further research that helps prevent/prepare for pre-term labor, as well as understand and prevent stillbirths. Available to rent for $20 a week, each monitor is made up of three parts—a sensor, a reusable patch that secures the sensor three fingers below one’s belly button, and an app that stores all the data. 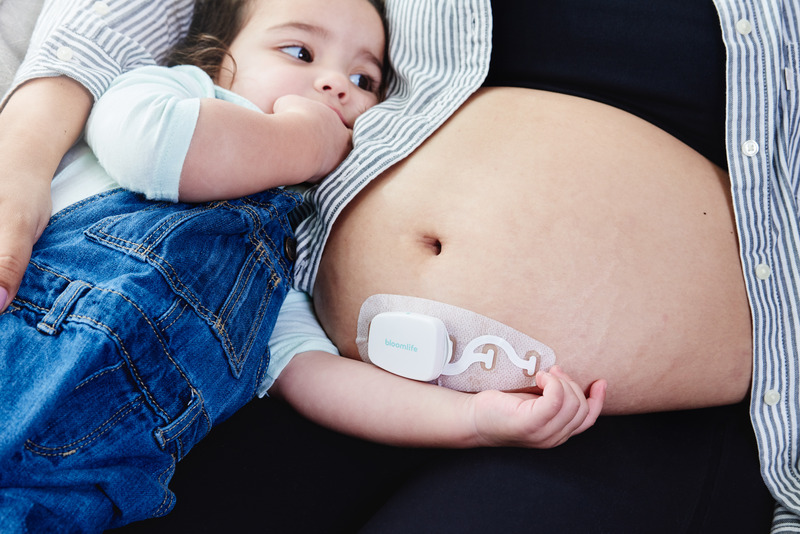 A mom-to-be simply sticks the sensor to her belly, finds a comfy spot to kick up her feet (contractions must be monitored while the wearer is reclining, and for at least one-hour at a time), and opens the app to find out more insight on what’s going on on the inside. A comparison of past contractions can help mothers learn about their contraction patterns and allows them to catch interesting changes as the body prepares for labor. 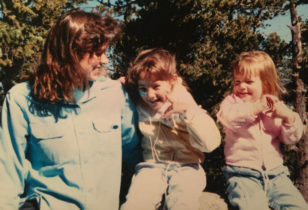 For example, Daphne was surprised to find that after a particularly active day of being on her feet for long periods of time and picking up and carrying her toddler daughter on multiple occasions, she had her most intense contractions yet. Other mothers might be interested to find out that peak contractions often occur during the night while sleeping. Tracking these overnight happenings is one of the reasons many women enjoy using Bloomlife at night to see how nocturnal patterns evolve leading up to labor. One remaining question you might have—is it safe? Bloomlife assures that the monitor itself is “100% passive” and safe for continuous use. The company explains that the monitor simply works by “listening” to the electrical chatter of the uterine muscles as they contract (similar to how an EKG monitors heart beats), but does not send any energy into the body, unlike a doppler or ultrasound. Likewise, the app connects to a user’s phone via low Bluetooth energy, with a signal that does not permeate the skin and is 1,000-times lower than the safe limit set by the FCC. You can find more answers to any safety questions right here. Want to try Bloomlife out for yourself? 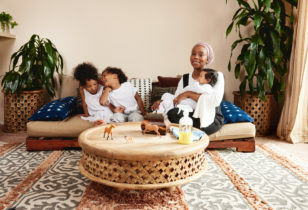 Head over to Bloomlife.com to get your rental started for $20 a week and score 15% off the weekly fee by entering the code MOTHER15 at checkout. Bonus points: For every friend you refer to Bloomlife, you’ll get a $20 Amazon gift card (a very handy thing for any mama-to-be), plus your friend will get her first week of Bloomlife for free. This post is brought to you by Mother + Bloomlife.